Crafty holes appear throughout the senior of the two Waikoloa Beach Resort Golf Courses, with many others quite memorable. Noteworthy are 3, 5, 7, 9, 15 and 18. In 2009, the course was transformed from its original layout, so it could utilize the more impressive and efficient Kings’ Clubhouse that had previously only serviced the Waikoloa Kings’ Golf Course. The resulting redistribution and renumbering of the holes was quite successful in terms of consolidating the overall golf operation. The layout meanders through and around Hawaii’s second largest petroglyph (rock carvings) field, ancient burial grounds and the remains of an ancient fishing village. 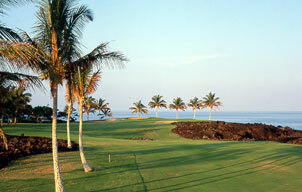 No doubt, the Waikoloa Beach Golf Course will fulfill every golfer’s Big Island golf fantasy and then some. The on-course Tropics Ale House, located at the old Waikoloa Beach Course clubhouse, is a great choice for lunch or dinner. 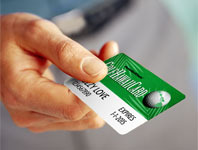 Your GOLFHAWAIICARD delivers a 20% food discount. The pizza, salads and 24 craft beers on tap are a real treat. The Beach and Kings’ Courses share a dynamic clubhouse, which has a restaurant — Mai Grill — that serves breakfast (7:30-10:45 daily), lunch (11:00-3:00 daily) and dinner (6:00-9:00 Thu-Sat). For those looking to freshen up for dinner or the flight home, showers are located in the restrooms below the pro shop. 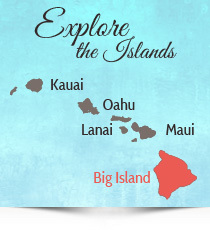 HawaiiGolfDeals – Your home for the Best Hawaii Golf Vacations.